Water building up on a property can really cause a lot of significant damage. Collection of water on a property is precisely why making sure the systems are working and the ground is not too wet is so important. Once installed, these systems need to be maintained and checked. When drainage is not paid attention to, things can be going wrong without anyone noticing, with disastrous results. Boards and property owners should consider paying attention to potential issues with saturation and water’s presence in general on a property, having maintenance money set aside for it, and annual inspections to prevent emergencies. What Does a Build Up of Water Cause? Too much water building up is bad news, and these issues can affect landscaping, the property, and the structure itself. Trust us when we say that you don’t want to deal with the problem after the fact. You want to get to it before it starts. These issues can happen with standing water where the water won’t go away and will form puddles. Or it could be from water in the basement or soil that is marshy and saturated with water. Conditions can start outside but also can involve sump pumps that move water to the outside from the basement. It depends on the situation. A bad pitch will lead to ground saturation and water just sitting there. Water can collect in the flat areas or soil can be saturated for a long time, perhaps due to surface depressions. Regardless, if water is ponding for 48 hours, it’s an indication that there’s a problem and something needs to be done. 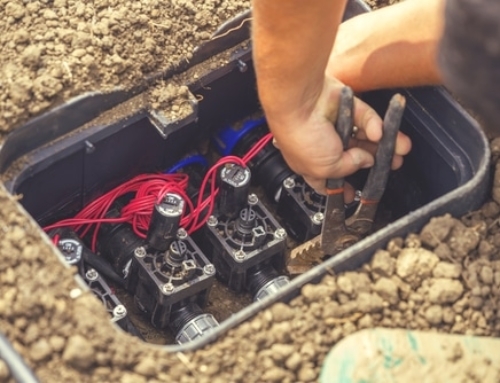 Malfunctioning systems or standing water mean a lot of results that you might not want. They can cause decreasing property values, expensive damage, and even lawsuits over property damage that caused high-cost repairs or accidents. It can also make landscaping more difficult or ruin equipment. Sitting water areas need to be fixed. 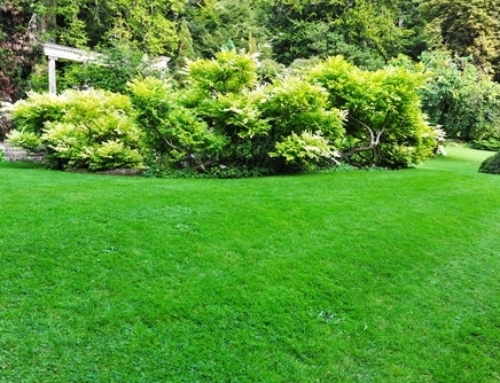 Water pooling up can cause grass disease, the landscaping doesn’t work, and it grows mold, bugs, algae, and more. Water exposure can also mess up a foundation, erode and weaken concrete, and cause damage to plants. Problems can be caused by an improper grade pitch or a system that contributes to the issue. The irrigation system needs to be nozzled properly and it generally needs to be draining without error to avoid causing issues. 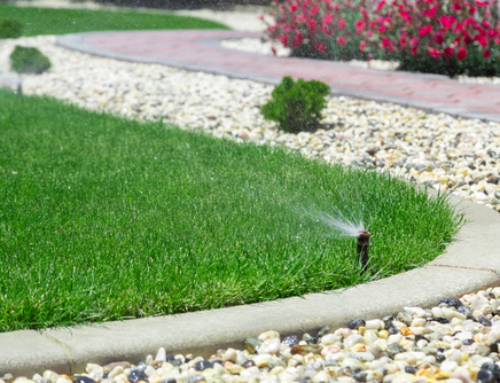 Irrigation timing done by a professional can help control problems regarding sitting water. You can also cycle a watering schedule so that the water soaks in different zones in intervals. Then sprinkler water replenishes the soil top layer without runoff and the water gets down to where it needs to be. If water can be redirected, the problem can be fixed. 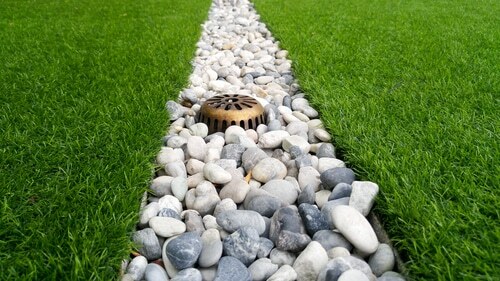 Pipes should also be kept debris and leaf free. Property, vehicles, and more can be damaged by water that won’t go away. Maintaining a system or hiring a professional could keep you out of court and avoiding anything like that. Water can cause accidents and be a huge issue of legal contention. Why risk it? Avoid problems by addressing the issue before it starts. An inspection and regular maintenance check can stop a problem early. One time a year is a reasonable annual inspection schedule to maintain that will help avoid problems down the road and save money in the long run too.